Material Type: All Stainless Steel, Inconels, Mild steel, etc. 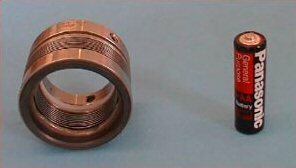 Applications: Mainly used in Mechanical seals where it accommodates axial force and rotational torque. Welded Metal Bellows can accommodate up to 100% axial movement of there neutral length with a very low spring rate.